Want to help in the Gardens? Learn more at the next Volunteer Information Session from 2–3:30pm on April 13. RSVP here. Spend more time in the Gardens – become a Descanso Gardens volunteer! Our dedicated volunteers range in age from 16 to 80-plus. They provide vital support to many areas of operations, including Education, Horticulture, Visitor Services, the Gift Shop and more. Your involvement helps the Gardens grow! Education is a key component of the Descanso Gardens mission. Through rich and varied programming – horticulture classes, family-friendly festivals and concerts, and lifestyle and fitness courses – we invite the public to experience nature in its diversity and enjoy wide-ranging learning opportunities. Additionally, Descanso Gardens welcomes 6,000 school-age children annually who participate in docent-led field trips. Whether they are seasoned green thumbs or gardening newbies, the Garden Volunteers share an enthusiasm for keeping Descanso beautiful. They assist Descanso Gardens horticultural staff with a variety of plant maintenance tasks as well as learning new gardening skills. Basic tasks include weeding, watering, deadheading and raking. Visitor Services Volunteers are often a visitor’s first point of contact and are critical to the guest experience. These volunteers provide friendly, informed service by staffing the Visitor Center, the Boddy House, Sturt Haaga Gallery and the Enchanted Railroad. People with an interest in customer service, horticulture, history or art will be successful in Visitor Services. 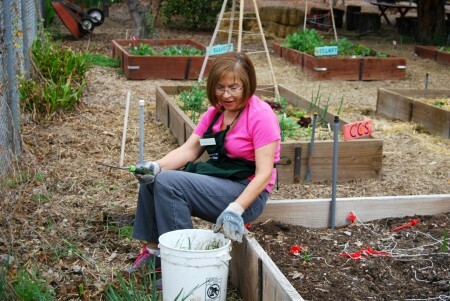 Becoming a Descanso Gardens volunteer is easy as 1-2-3! Complete a Volunteer Interest Form and RSVP for an upcoming Volunteer Information Session. You will be contacted with more details about volunteering at Descanso. Attend a Volunteer Information Session to learn about volunteer opportunities and next steps. Adult volunteers must be members of Descanso Gardens.